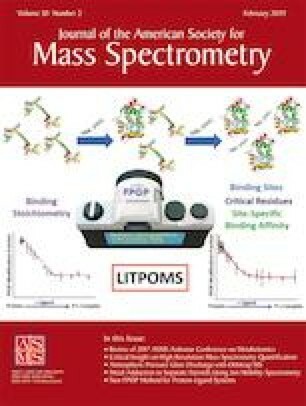 High-resolution mass spectrometry (HRMS) in full scan mode acquires all ions present in the sample of interest offering a lot of qualitative information. This, in combination with the improved performance of the new generation HRMS systems, triggers more (bio) analysts to switch from triple quad MS systems to HRMS for quantitative analysis. 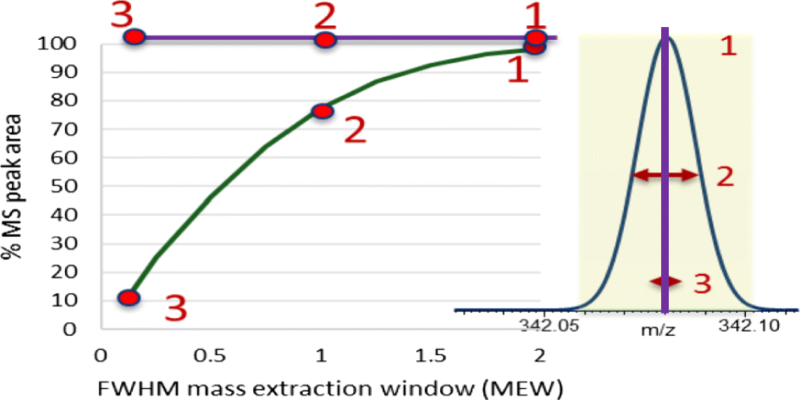 Quantitative processing of HRMS data is performed based on narrow mass extraction windows rather than on nominal mass product ion chromatograms (SRM or MRM). Optimal processing of HRMS data requires different considerations and software tools and can have an impact on data processing and final results. The selection of centroid versus continuum/profile data for processing, selection of the optimal narrow mass extraction window, using theoretical versus measured accurate mass for the extraction of the ion chromatograms as well as differences in calculations and data handling residing in the different vendor software packages are tackled in the presented manuscript. These differences are illustrated on HRMS data acquired for the same plasma samples on three different platforms, i.e., a Sciex QToF, a Waters QToF, and a Thermo Orbitrap system, and processed in four different software packages, i.e., Sciex Analyst® TF, Waters Masslynx, Waters Unifi, and Thermo Xcalibur. The impact of these differences on quantitative HRMS performance was evaluated on calibration curves of eight small molecule compounds in plasma using four different ways of processing. Simple guidelines are provided for the selection of an optimal mass extraction window for continuum and centroided data. The online version of this article ( https://doi.org/10.1007/s13361-018-2101-0) contains supplementary material, which is available to authorized users. The authors thank Lyle Burton (ABSciex) for developing and providing the research tool to transform continuum raw data files to centroid data files post-acquisition. We thank Anne Van Vlaslaer, Ils Pijpers, and Emmanuel Njumbe Ediage (Janssen R&D) for the analysis of the calibration curves in plasma and Ronald de Vries for fruitful discussions.